Remember this man? If not, let me explain who he is and why he is so important. First, recall the various articles that have been written about the Dalton case. 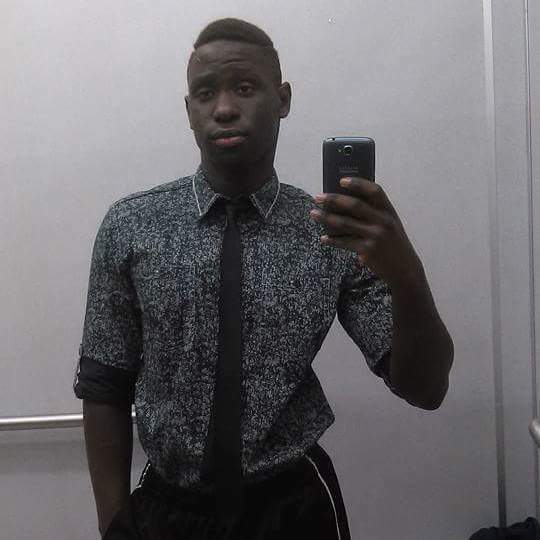 20yo El Hadji Mohammad Cisse (El Mo Ci,) was stalking a young 16yo girl. When she denied his advances, he went to the extreme. Thus far, his victim, and her family’s lives are in shambles. Why? Mohammad attempted to abduct his young victim, after nearly eight hours, the family had located her. I won’t go into to many details as they are already floaring about. Above, are pictures of the school’s sides. We know, Mohammad tried to abduct her from the side of the building. What is unknown, is which side. 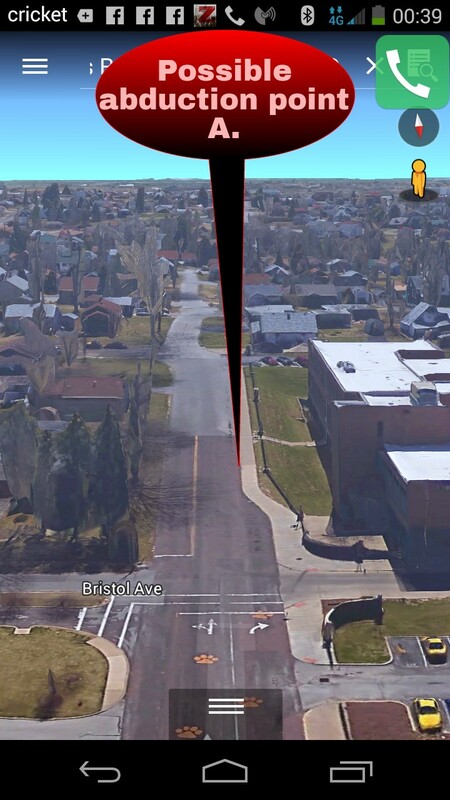 Above, are the two possible locations for the abduction. As a result of this abduction, a restraining order, which Missouri threw out, was filed. Upon learning of this filing, Mohammad did what any insane stalker would do; he got a job right across the street from the school. Now, I have marked two locations on this image. The first, is a grocery store where the stalker works. The second, the victim’s school. Students often go to this store, where Mohammad currently works, to get food. Now, he is stalking a minor student of this school. With that in mind, one must ask, “are these children really safe shopping there?” My vote is no. As you can tell, this store is very close to the school. For a psychopath, it is easy to keep watch on his prey, his victim; and yet Missouri, who currently should be protecting this child, has willfully refused to do so. Why? My theory is they are protecting their CPS case, and thus protect their financial gain. To protect the case, they must protect their witness. The worst part is what this statement says. It says that non citizens, who are in our country, have more rights than native born citizens. With this, I question the state, it’s officials, and it’s compentency to protect any child. The harassment toward his victim has not stopped. Daily, when the victim awaits for her cab, Mohammad pulls up, and harasses her. 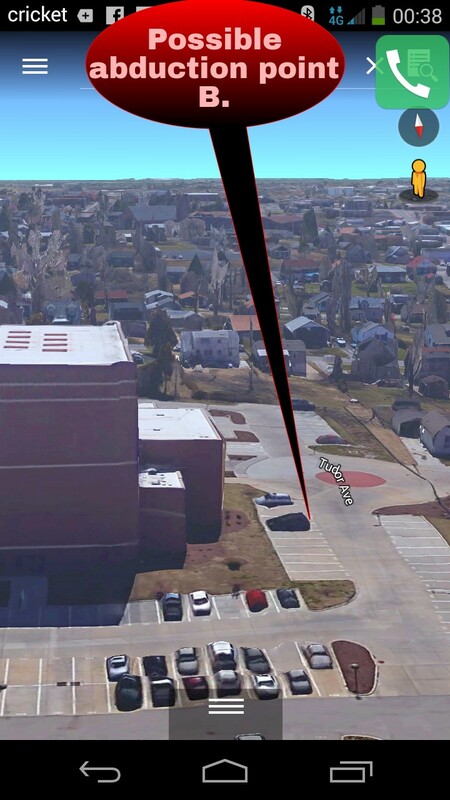 Below, is a picture of the harassment site. It appears, the girl is not safe anywhere. In fact, it is very likely that her life is in danger; and yet Missouri does nothing aside fabricate stories on the victim. These images bring fourth a lot of questions and concerns. At this point, I do not believe it is if Mohammad will do something, but when. Somehow, somebody has to protect this child. If the state won’t, the family, at the moment can’t, than who? Us. The media, the people, we must protect this child and her family. Not only because of the corruption, but because this could be your child, your family. 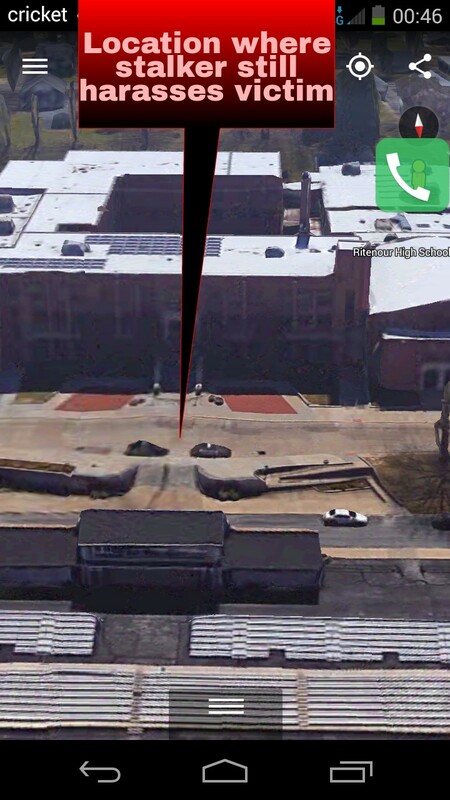 UPDATE: We have confirmed that point A, shown above, is the actual abduction point. NOTE: victim’s name is not mentioned due to current legal circumstances.